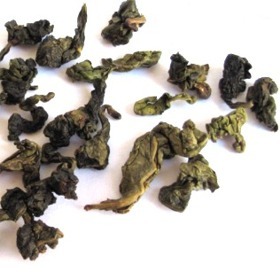 Tie Guan Yin Oolong Tea is one of the famous Oolong Tea in An Xi. This Tie Guan Yin Oolong Tea is a nong xiang tea which simply means thick and heavy fragrance. In other words, this Tie Guan Yin has a heavy fruity and deep floral fragrance. This tea is suitable for someone who loved strong aroma and flavor of TGY. Mild flavor, subtle floral aroma, smooth taste, sweet lingering aftertaste. Yellow-green little pellets shaped from tea leaves. The infusion is bright and clear golden-yellow color. There is something ineffable about this tea that makes you want to drink more and more and more. The tea is a light to medium roast, with a more floral and buttery character than honey or caramel. It doesnt knock ones socks off but it is pleasant and easy to drink. I like it a lot for the price. This tea is good quality. It has one stem with 2 or 3 leaves. I believed it is hand picked oolong tea. Highly recommended. I drink everything from white, green, oolong and black teas with the occasional Pu-Erh. I enjoy all of them, but once I tried this tea it instantly became my favorite. It has the best qualities of green tea mixed with my favorite of fine black teas, and none of the negatives. It is much more towards green tea and as it is only lightly oxidized. Taste is has a floral and sweet mix with what tastes like honeysuckle and some type of berry to me. A great aromatic TGY. Very floral taste. A great tea at a great price. It`s my favorite oolong. very nice floral taste. I seriously thought I was going to cry. Best of the best. Ordered another 150 grams as soon as I tasted it. My favorite tea, fragrant and delicious!!! All good with tea, but ordered 200 gr. I`ve recieved 176, without package. All of 3 packs has wrong wight: 100 g - 88 WITH foiled package, 50 g - 48 WITH foiled pack. My scales accurate to 2 g. How does this happen? Fragrant and pleasant. Good to drink.